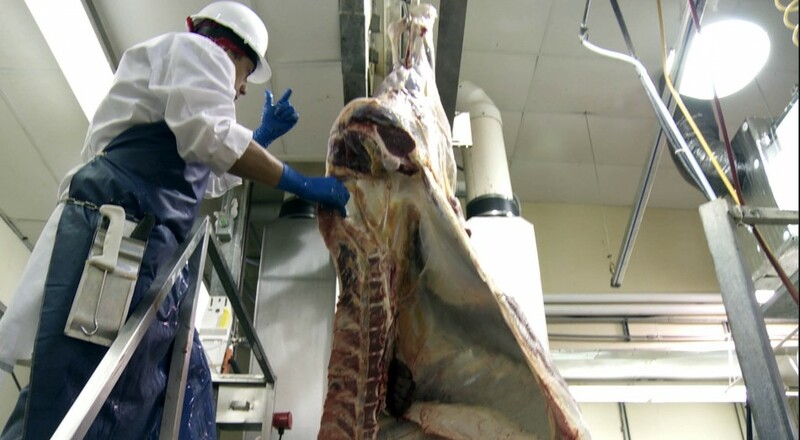 The United States Department of Agriculture, Food Safety Inspection Service (USDA-FSIS) is responsible for the training of inspectors to have oversight on both food safety and human slaughter practices. Right now the workload for inspectors is to spend 80% of their time on food safety (antemortem and postmortem inspections of the animals) and 20% of their time overseeing and assuring humane slaughter compliance. Food safety is intrinsically linked to humane slaughter as the knowledge base of the inspectors transcends both. An argument can be made for inspectors spending 100% of their time on food safety and for the USDA-FSIS to assign specific inspectors human slaughter oversight only. This would increase the parameters of food safety. Furthermore, when a violation of humane slaughter occurs, there is a risk for accidents and contamination, especially if the kill floor workers cannot control a frightened and hurt animal.